Solex Fine Foods has sought out purveyors of the finest wild mushrooms on the market. This extensive network of foragers ensures that you will receive the freshest, highest quality product available anywhere. In particular we rely on our regional exclusive distribution of mushrooms from British Columbia based, Mikuni Wild Harvest. Forager owned and operated, Mikuni has long been respected for its consistent offerings of the best mushrooms available in the US Pacific Northwest and Western Canada. Mousseron (May – July) - Forming arcs or rings in lawns and pastures it is distinguished by a smooth, cream to buff-colored, umbonate cap, well-spaced, adnexed to nearly free gills, tough, wiry stipe, and white spores. Yellow Foot Chanterelles (December – March) - These small and delicate mushrooms are brightly colored with a golden yellow stem. 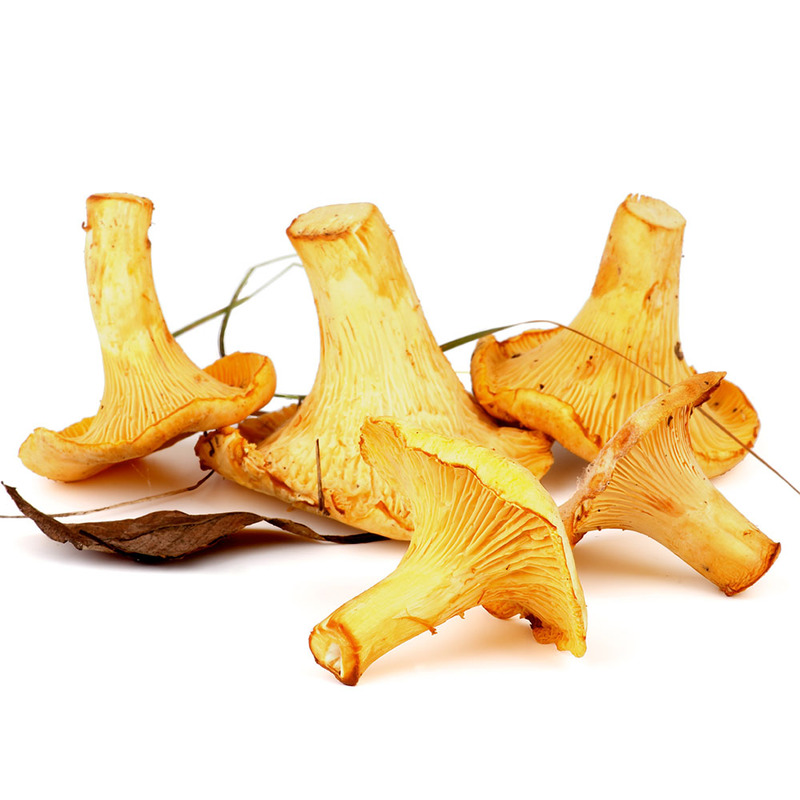 Also known as the funnel chanterelle or yellow leg mushroom, they have a subtle flavor similar to the mild Golden Chaterelle. In addition to offering the finest in wild foraged mushrooms we have expanded to include cultivated mushrooms that are an important staple of any menu. As in all our products, we have balanced flavor and sustainability to provide the best in domestic and international cultivated mushrooms. Abalone - “White elf”, looks like large meaty oyster, aromatic. Hon Shimeji - Shaped like the shiitake, this mushroom can be light brown, gray or white; it is firm textured with gills. Maitake - Grown throughout most of the US at the bases of deciduous trees.The clustered, overlapping grayish-brown, lateral spoon- or fan-shaped caps grow 3/4 to 2-3/4 inches wide. 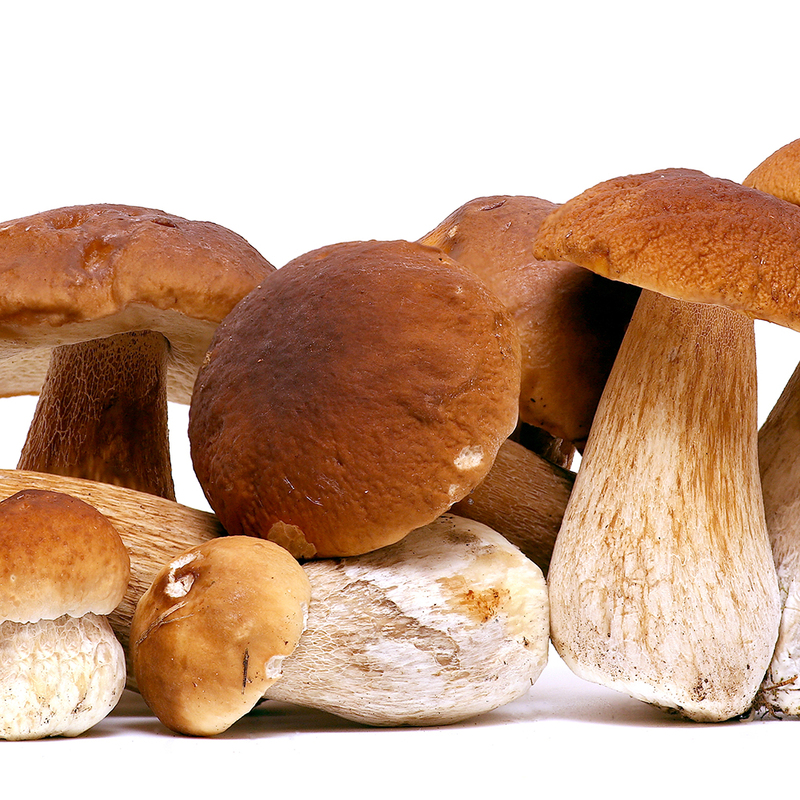 Shiitake - Also known as the black forest mushroom, our shiitakes are available in medium and baby variaties. Trumpet Royal / French Horn / King Oyster - It is cultivated on the sawdust of broad-leaved trees and are available in a variety of sizes. King Oyster - USA, nutty flavor and dense texture.